Women's Writing Circle : Every Writer Needs A Bit of "Paris"
For the past three and a half years my days have gone something like this: writing and publishing two memoirs, collaborating on an anthology of stories and poems, writing a weekly blog, marketing my books, keeping up with publishing trends, answering emails, developing an email marketing strategy, organizing and facilitating writing workshops and editing the novels and memoirs of my clients. Gratifying and exhausting. The only hiatus . . . the monthly Women's Writing Circle read-arounds, a lovely escape into the authenticity of writing. Together we share our stories and explore the human journey, as well as talk about ways to enhance our writing. 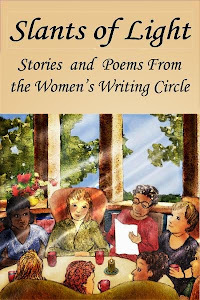 As the facilitator of the Circle, I provide resources and opportunities for writers to be published. Sometimes I don't read my work . . .thankfully, we have so many writers coming to the Circle, I want to offer them the opportunity to "test drive" their voices. Finally, if one is fortunate, the writer allows herself a break and returns to what stokes the fires of creativity; nurturing her writing and tending to it with love and tenderness as you would a child. For those who take writing seriously, we know it is essential to our survival. We "get away" in order to gain new perspectives. If we can't get a change of venue, then a new experience or encounter suffices to spark new writing. The key is to keep moving and exploring. Hemingway had Paris and for seven years reflected and wrote. I have a special bed and breakfast called Le Rendezvous where I'll be staying for the next month, which has a stunning view of the Santa Catalina Mountains. My favorite Tucson cafe is within walking distance of Le Rendezvous. The bagels are a meal in themselves; add smoked salmon, fresh tomatoes and purple onion, cream cheese and capers. Drink an iced cold glass of lemonade. Voila! Hemingway may have had his cold oysters and crisp white wine, but this will do. 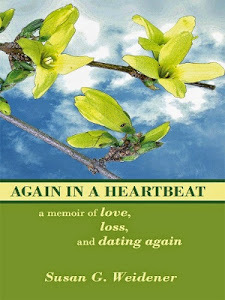 A long walk in the morning energizes thoughts concerning my new book. Get to work. Close the door and create the privacy of a sacred space. Put aside the fear that what I am writing is not good or - conversely, will be too literary for mass market consumption and won't sell. 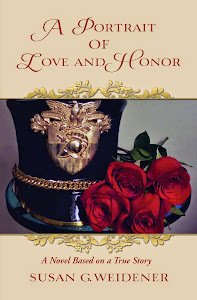 Turn off the hubbub about traditional, versus independent, versus self-publishing. Just do it. Write. 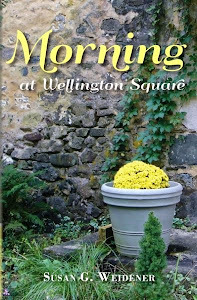 And here I'll quote the last line in my memoir Morning at Wellington Square . . . "keep writing, keep writing, keep writing." Pay attention to the small moments . 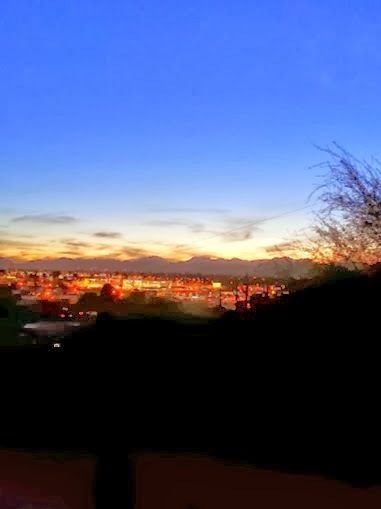 . . the kindness of friends, the conversation of strangers in the coffeeshop, the slants of light streaking through the window, the shadows enveloping the mountains at nightfall. Explore the colors and details of a new surrounding. Every new landscape provides rich resources for writing. Work to develop a deeper understanding of the purpose of your story. 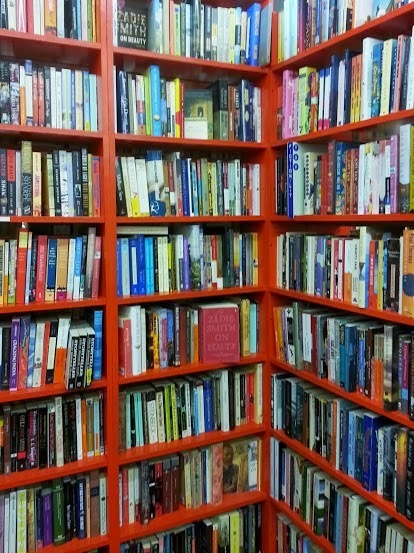 Browse a bookstore with used books. A funky place here in Tucson whose patrons mirror this southernmost Arizona city is Bookmans. Their slogan: Why Buy New? People bring in their gently worn books and CDs, guitars, old jewelry for sale. Search out other writers and writing groups in your new location. Set aside time to read other authors. I am finishing The Book Thief. Next up: Slaughterhouse Five. As daylight sinks in the west, enjoy those final glorious moments of sunlight. What about you? How do you connect with your "bit of Paris"?